I purchased this brush with high hopes, only to be disappointed. The hairs on the brush began to fall out immediately on use, not just one or two, but several with each stroke. I spent more time scratching hairs from the canvas than I did painting. 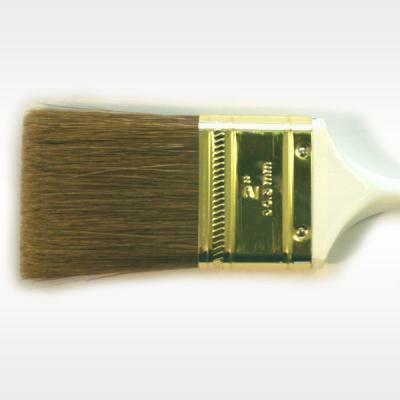 I’ve purchased better brushes from DIY shops to paint the house. As an art teacher and painter, I’ve spent thousands of pounds over the years with Ken Bromley, and this is not reflection on their service, which is second to none. The brush hairs and attachment seem to be poorly made. Perhaps I have a one off. Now and again, a brush can be faulty and if this is the case it is always best to contact us so we can resolve any issues. In this particular case, photos were provided showing the faults with the brush and the brush is being replaced free of charge.